Introduce the concept of preschool to your child. A few weeks or even months before preschool starts, make sure to introduce its concept to your child. You don’t have to get too technical, instead, introduce them to its basic concepts. Tell them about where they will have to go, the teachers that they will have to meet, and the new friends that they can make. Make it sound as exciting as possible. Try to capture your child’s imagination and make preschool sound like their next adventure. 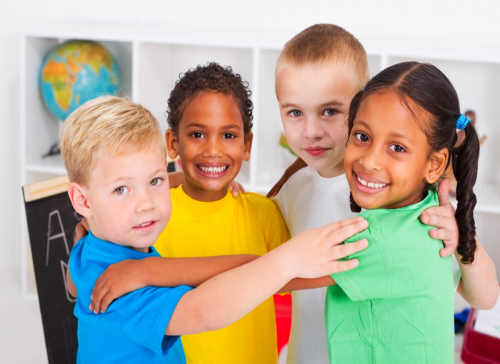 If possible, schedule a tour with your child’s preschool ahead of time. Take your child with you so that they can see where they will be going. Tour them around the facilities, show them where they will be staying, and if a class schedule is already posted, show it to them. Try to explain what they will have to do during each portion of each day. Set your schedule and routine ahead of time. Is your child used to waking up late during the day? Once preschool starts, that routine will have to change. In order to avoid chaos as you wake them up early during their first day, set your schedule and routine ahead of time. A few months or weeks before school starts, make sure to get them used to sleeping early and waking up early as well. If possible, allow your child to choose their own school things (e.g. notebooks, bags, shoes, clothes, lunchbox, etc.). Let them be involved in the preparation process. By involving them in the preparation process, you can also hype up their excitement for school. As a reliable Head Start Pre-k in Bronx, New York that offers a Two Generation Program, we hope that these tips can help you better prepare your child for preschool. If you have other concerns, don’t hesitate to reach out to us at 718-466-1604. This entry was posted in childcare education and tagged childhood education, early education, preschool education, preschool preparation, preschoolers. Bookmark the permalink.